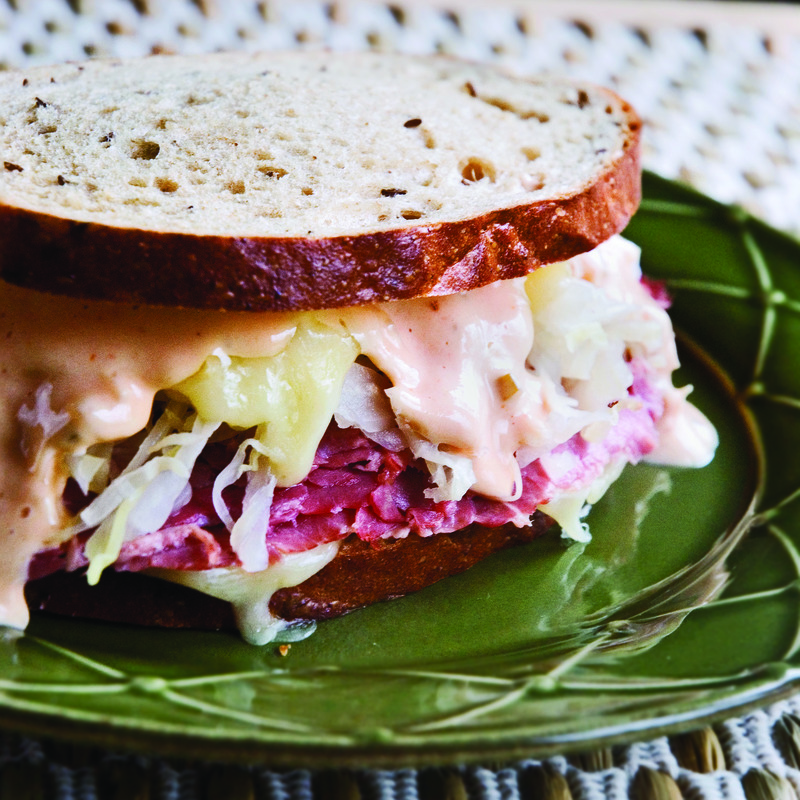 Piled high with corned beef, tangy sauerkraut, and creamy Thousand Island dressing, this warm sandwich is just as tasty at home as at your local deli. In fact, it may be even better! This Thousand Island dressing comes from the kitchen of my friend Alison’s grandmother. It is hands down the best Thousand Island dressing I have ever had. You can’t even compare it to the bottled versions you find at the grocery. I guarantee its worth the few extra minutes to make your own. To make the dressing: In a small bowl whisk together the mayonnaise, relish, Worcestershire sauce, chili sauce, and lemon juice until well combined. Season with salt and pepper to taste. Season with the hot sauce, if desired. Cover and refrigerate until ready to use. To assemble the sandwiches: Evenly butter one side of each slice of bread. Place 4 slices, buttered side down, on a work surface. On each slice, spread 1 tablespoon of the Thousand Island dressing. 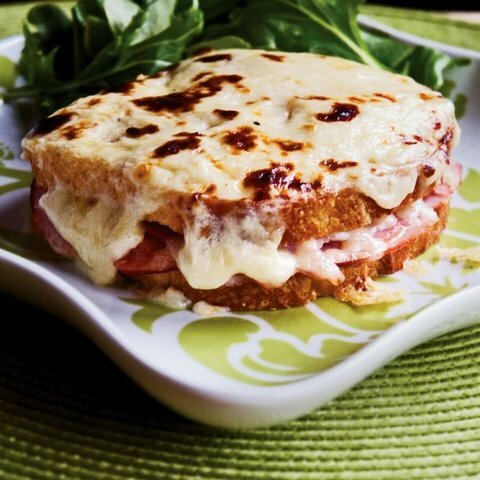 Layer each sandwich with 1/4 of the corned beef, 1/4 cup of the sauerkraut, and 1 slice of the Swiss cheese. Top each sandwich with 1 of the remaining slices of bread, buttered side up. Preheat a griddle (or a large skillet) over medium heat. Place the sandwiches on the warm griddle and cook until the bottom is golden brown, about 4 minutes. Using a flat spatula, carefully turn the sandwiches over. Cook until the second side is golden brown, about 4 minutes. Serve hot, with a side of extra Thousand Island dressing if desired. Cooking Tip: Cook the sandwiches slowly in order to allow the cheese to melt without burning the bread. If the outside is browning too quickly, reduce the heat, cover, and cook slowly until the cheese melts. Do-Ahead: The Thousand Island dressing will last up to 4 days covered and refrigerated. Photo by the talented Natalie Root.